We were taking a monthly test when the principal of our school Mr. Chaudhary called a special assembly to announce industrial calamity in Bhopal(now the capital of Madhya Pradesh). 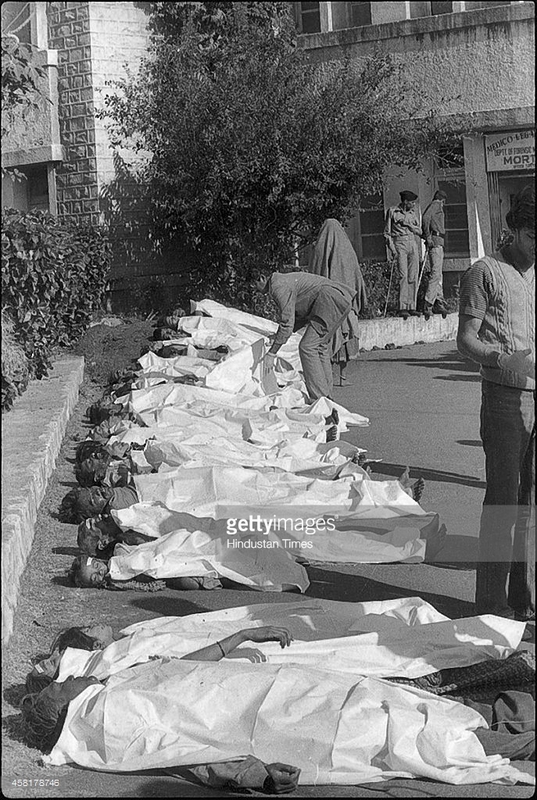 I was studying in Government Higher Secondary school , Jagdalpur, and too young to understand this tragedy of December 3, 1984 . In his address to assembly he said Post-midnight on December 3 ,poisonous gas that leaked from the factory of Union Carbide in Madhya Pradesh the capital Bhopal had killed 3,787 people directly. He was talking about the biggest industrial disaster that took place at the midnight of December 2, 1984. Most of us also remember that was the year when former Prime Minister of our country Mrs. Indira Gandhi was assassinated. 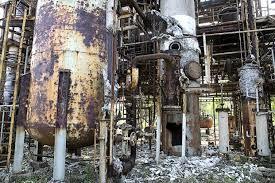 Well, I am taking about the industrial disaster- That is known as Bhopal Gas Tragedy in the history. -the Black Day. Bhopal is not only known for its historical records, artificial lakes and greenery but also the city is remembered across the globe for the worst industrial mishap of the world. 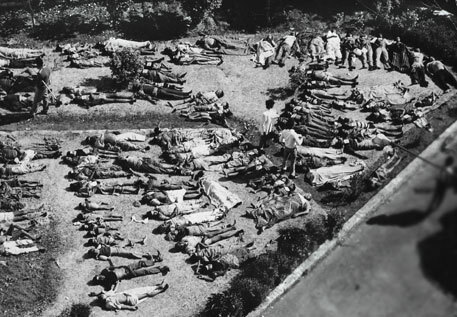 As per official records, the Bhopal gas tragedy killed 3,787 people. However, activists fighting for justice for Bhopal gas tragedy victims put the figures of death between 8,000 and 10,000. In an affidavit, submitted in 2006, the government said that the Bhopal gas leak caused 5,58,125 injuries that included approximately 3,900 severely and permanently disabling injuries. The gas leak in the Union Carbide (now known as Dow Chemicals) was reported after midnight on the intervening night of December 2 and 3. 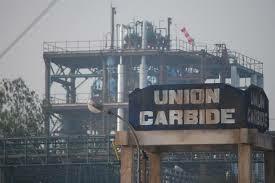 The incident had taken place at the Plant Number C of the Union Carbide factory in Bhopal. As the cool morning breeze picked up pace, it carried the poisonous gas leaking from the Union Carbide factory to rest of the city and killing people - both awake and asleep. It is estimated that about 40 tonnes of methyl isocyanate (MIC) gas and other chemicals leaked from the Union Carbide factory. Methyl isocyanate is extremely toxic and if its concentration in air touches 21ppm (parts per million), it can cause death within minutes of inhaling the gas. In Bhopal, the level was multiple times higher. The leakage of gas was reported from Plant Number C. As per official record, methyl isocyanate got mixed with water used for cooling the plant. The mixture led to generation of volumes of gases, which put tremendous pressure on Tank Number 610. The tank cover gave way to building gaseous pressure releasing tonnes of the poisonous gas, which diffused over large area. Approximately 5 lakh people were exposed to the leakage of methyl isocyanate gas. Bhopal had a population of about 8.5 lakh back in 1984 and more than half of its population was coughing, complaining of itching in eyes, skin and facing breathing problems. The gas caused internal hemorrhage, pneumonia and death. The villages and slums in the neighbouring areas of the factory were the worst affected. The alarm system of the Union Carbide did not work for hours. No alarm was raised by the factory managers. Suddenly thousands of people started running to hospitals on the morning of December 3 with their complaints. Unlike today, Bhopal of 1984 did not have too many hospitals. Two government hospitals could not have accommodated half of the population of the city. People were suffering, finding it difficult to breathe and confused. So were doctors, who did not immediately know the reasons for the sudden illness that afflicted every new rushing patient. Patients complained of dizziness, breathlessness, skin irritation and rashes, some others reported sudden blindness. Doctors of Bhopal had never faced a situation like this. They raced against the time to deal with the industrial disaster. Symptoms of methyl isocyanate exposure were not immediately known to them. And, the two hospitals reportedly treated around 50,000 patients in first two days of the Bhopal gas leak. Officially, the government declared that the gas leakage was contained in eight hours, but the city has is still finding it difficult to come out of its grip even 33 years later. Now, victims are still battling for the compensation however, it ($470 billion ) was given but is said to be insufficient. Category Industrial Disaster, Notes for Students. My condolence to the suffered and their families. The day will forever be remembered as the day of great human blunder which is worse than a natural disaster. WE all should take lesson from this terrifying mishap and should adopt precautionary measures to avoid such tragical event. Thanks for the sharing this Sir. Top notch! Yes, Human interference to the nature can bring about such a huge everlasting problem.